This past weekend, some friends of mine asked me to take photographs at their upcoming annual fireworks party. Not only is this party one of the more entertaining events of the summer, but it'll also serve as their marriage celebration. I'm looking forward to it, as always! Anyway, I figured I should remove some of the less important photos from my SD card. It can hold a lot of data, but I don't want to risk anything (like showing up, taking three pictures of a miscellaneous cat, and having to be like, "Oopsie, no shots of the happy couple"). 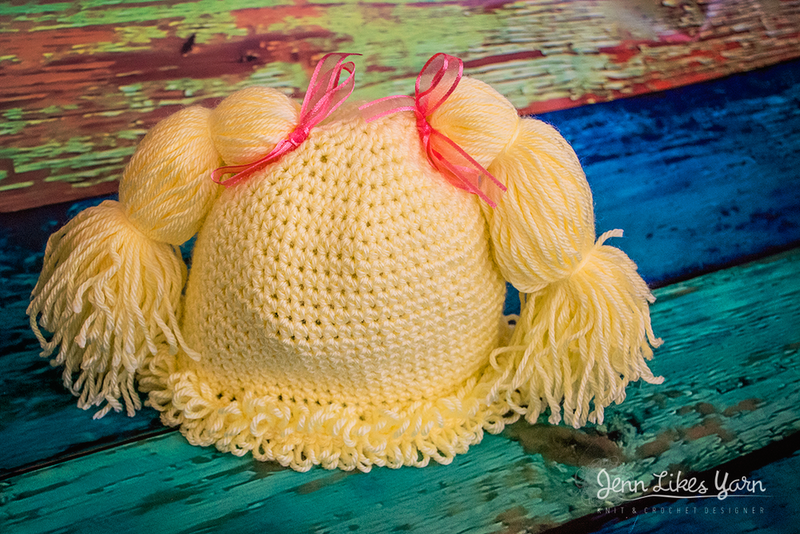 After diving into Adobe Bridge, I came across this hat I crocheted for a Cabbage Patch-Inspired beanie pattern I started writing forever ago - before my life got out of hand. The pattern itself is actually coming along pretty well, at least from what I saw when I logged into Evernote for the first time in eons; all that's left is a tutorial for the tassels. I'd say you'll see a pattern for this soon, but we all know what happens when I promise a new pattern: nothing. That said, I thought I'd post this photo because I think it's cute and Lord only knows the next time it'll see the light of day again. Older PostAnother life update. Because you care, right?